MANILA -Fair weather is expected in most parts of the country as the northeast monsoon continues to affect Luzon and Visayas on Wednesday. The Philippine Atmospheric, Geophysical and Astronomical Services Administration said in its 4 a.m. forecast that Cagayan Valley, Metro Manila, Visayas and the rest of Luzon would have cloudy skies with isolated light rains due to the northeast monsoon. Mindanao would have partly cloudy to cloudy skies with isolated rain showers due to localized thunderstorms. Temperature in Metro Manila ranges from 23-31 degrees Celsius; Tuguegarao City 19-28 degrees Celsius; Baguio City 13-23 degrees Celsius; Metro Cebu 24-30 degrees Celsius, and Metro Davao 23-32 degrees Celsius. 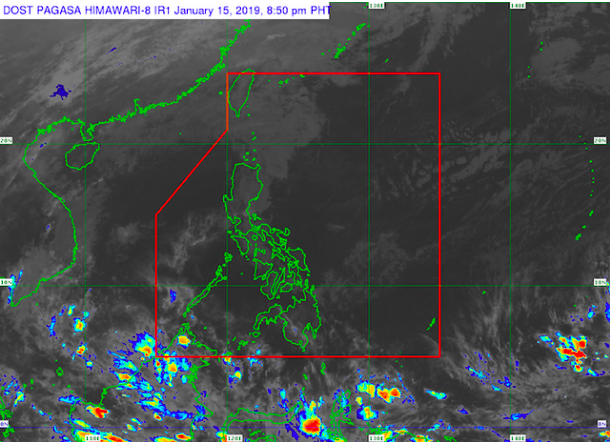 A low pressure area (LPA) outside the Philippine area of responsibility (PAR) 2,720 kilometers east of Mindanao is being monitored and might enter PAR by Friday, January 18 or Saturday, January 19.